Three UFO organizations collaborated during the 1990's to launch a research project of unprecedented significance to the alien abduction genre. The Ambient Monitoring Project was an impressive, scientifically designed effort to actually quantify details of what to date had remained elusive and fleeting: what, if anything, out of the ordinary was physically taking place in the environment during an alleged abduction. Researchers aimed to collect large amounts of data measurements from the homes of people reporting repeat alien abductions. The investigative venture consisted of investing in several years of designing equipment, tweaking its implementation and securing third party qualified consultants to analyze the resulting data. In 2006, the MUFON newly appointed international director, James Carrion, announced during an interview with Tim Binnall that completing the Ambient Monitoring Project was among the organization's top five priorities. By 2008, the MUFON Journal reported the data collection phase of the project was complete and that analysis was underway. Individuals eager to hear more about it congregated to the MUFON forum, monitored announcements at conferences and kept watchful eyes on various publications. However, neither the results nor a final project report were ever published. What happened to the AMP? The July, 2008, MUFON Journal carried an article explaining aspects of the AMP. The Ambient Monitoring Project: Data Collected in Abductee's Homes being Analyzed [sic] was authored by the project director, Tom Deuley, a long time member of the MUFON board of directors. The website of the Fund for UFO Research (FUFOR) indicated Deuley also served as a member of its board of directors. He was described as a founding FUFOR member who possessed special expertise in electronics security and intelligence communications. A retired lieutenant commander of the US Navy, Deuley holds a degree in engineering and another in advertising, is reportedly a former employee of the National Security Agency and has published material on the topic of the NSA and UFOs. “The electronics board had a sensor which measured the amount of light in the room, and a sensor for sound level, which only measured the instantaneous volume and did not record any voice. “The device included an array of electromagnetic sensors and a basic weather station inside (that peeked out through the back of the unit) which measured temperature, humidity and barometric pressure. The sensors were reportedly installed in manners in which researchers would be alerted to tampering. Deuley wrote that for the duration of the project there were no signs that anyone or anything had attempted to touch a sensor unit. Journals were supplied to project volunteers. They kept a daily log of whether or not they perceived “an experience occurred” within the past 24 hours, and were encouraged to write about circumstances they felt relevant. The journal entries were planned to be compared to the data readings. Deuley wrote in the 2008 Journal article that the AMP was jointly proposed to MUFON, FUFOR and the Center for UFO Studies (CUFOS). The collaboration reportedly resulted in the UFO Research Coalition, or the URC, as Deuley dubbed it. Exactly where the funding originated, however, was not clear, and Deuley did not at all address the amount and specific terms of project funding. Who ever the “prospective funding organization” of which Deuley may have been referring, how ever the proposal may specifically have been “accepted,” and where ever reported “sufficient funding” may have actually originated, Richard Hall told UFO Updates List the project was out of money. Hall informed them of that nine months before Deuley's July, 2008, article which suggested funding was in hand and data was in the process of being analyzed. Hall had been a MUFON staple up until 2001 when he and then-International Director John Schuessler parted ways over an editorial Hall authored. The article consisted of Hall's concerns about MUFON direction and purpose, particularly concerning certain speakers the org's leaders were choosing to promote and provide venues. The now deceased Hall was a founding member of FUFOR and his activities in ufology dated back to the National Investigations Committee on Aerial Phenomena (NICAP), as was also the case with Deuley and others who formed FUFOR. Astronomer Dr. John Carlson, also of FUFOR, and I exchanged some brief messages. Even after I made him aware Deuley had just days prior stated in an email to me that AMP data was in the process of being analyzed, Carlson wrote in an August 5, 2008 email there were no funds to analyze the data, so he believed the project was effectively dormant. Most of the organization leaders - or at least those reported to be organization leaders - when contacted failed to so much as remotely address project personnel, project time frames, budget or similar such fundamental issues of which clarification was often requested. That was the case resulting from inquiries about the AMP spanning some three years, from 2008 to 2011, and conducted both publicly and privately, as well as through a variety of venues and types of interactions. It should be noted that publication and disclosure of such information is universally recognized as standard procedure throughout the nonprofit industry, of which all of the organizations are incorporated and operate. He gave no indications of what may have changed since July, 2008, when he reported sufficient funds were in hand and Dr. Crunk of San Jose State was at work analyzing the data. When asked about such issues and discrepancies, including specifically how the AMP was funded and where the funds originated, Deuley failed to reply. The same month, May, 2011, in a discussion taking place on a MUFON forum that has since been removed from the Internet by the organization, MUFON's Morgan Beall posted a message he stated was written to him that month by then-International Director Clifford Clift concerning the AMP. Beall quoted Clift as estimating about $25,000 was needed for “further research on the study” and “to finish the project.” Two months later, during a July, 2011, interview conducted by Jerry Pippin, Clift upped that figure to $50,000. Since Richard Hall's 2007 remark about $5,000, the amount claimed necessary to conduct data analysis, the purported cost to complete the AMP had multiplied ten fold in four years. That included doubling, from $25,000 to 50 grand, according to Clift and during a time span of two months in 2011. All of that took place while Deuley reported in a July, 2008, Journal article that funds were sufficiently available and data analysis was being conducted – and while others of course stated quite the contrary. Clift's comments published in 2011 (by Beall on the MUFON forum) echoed previously published indications that the AMP was a joint effort conducted by the UFO Research Coalition, consisting of MUFON, CUFOS and FUFOR. “Each organization contributed money equally to the project,” Clift was quoted. Each of the three collaborating organizations, as well as the UFO Research Coalition, were incorporated as 501(c)3 tax exempt nonprofit public charities. A review was recently conducted of readily available annual financial reporting forms, the IRS Form 990 submitted by each organization. The 990 forms are universally recognized throughout the nonprofit industry and particularly by the Internal Revenue Service as the standard means of financial accountability and reporting. No 990 forms initially located and submitted to the IRS by the UFO Research Coalition indicated any grant funds were either received or awarded specifically related to an Ambient Monitoring Project. The 990 forms reviewed included those submitted each year from 1998 to 2006. The URC reported various amounts of funds were received and research was conducted, but specifics were often not clarified, and I was unable to identify anything conclusively related to the AMP within any of the organization's 990 forms reviewed. The same was the case for CUFOS and FUFOR. IRS 990 forms submitted by CUFOS for each year spanning from 2002 to 2007 similarly revealed no information about the project. No AMP expenses were reported, no grant funds were awarded to the UFO Research Coalition and no circumstances related to the project were identified. The 990 forms reviewed for FUFOR also failed to indicate any funding activities that could be directly identified as pertaining to the AMP. Forms were reviewed for each year from 1999 to 2006. No funds awarded, funds received or expenses were specifically labeled as related to the AMP. Neither were any funds reported as granted to the UFO Research Coalition. The only circumstance yet identified in which the AMP was specifically referenced on a 990 by any of the three participating organizations – or the UFO Research Coalition – was the MUFON 2008 IRS Form 990. On the final page, in the section labeled Statement 1, an expense in the amount of $1900 was reported and labeled, “AMP PROJECT”. The MUFON 990 forms reviewed were for each year from 2001 to 2009. The forms reviewed were located on websites such as guidestar.org and citizenaudit.org. Forms from additional years not yet reviewed and not readily available were not requested from the IRS or other potential sources. It is of course possible that 990 forms from additional years, as well as deeper study and clarification of information contained on forms already reviewed, might reveal further relevant information. Contradicting statements and lack of responses to reasonable questions became the norm from organization leaders and pertaining to the AMP. Depending on who you asked and when you asked them, different and conflicting responses were made about such issues as the number of project volunteers and how communications were conducted with them. It was unclear which project personnel had been in touch with the volunteers and in what capacities, in addition to the many unanswered questions concerning project funding. The project understandably ignited considerable public interest among those hoping to learn more about reported alien abduction. The ultimate lack of data analysis was met with a great deal of disappointment. Various efforts were initiated by interested members of the public to coordinate the raising of funds to assist with completion of the project. Efforts were also undertaken to obtain the data in order to submit it for qualified analysis. I am unaware of any successes in these areas, and, to the best of my knowledge, all interested parties eventually resigned themselves to the conclusion that, for whatever reasons, the AMP would not be completed or passed to others for completion. I do not doubt that to be the case. Many of those affiliated with the project, including Richard Hall and Tom Deuley, publicly shared similar accounts of why analyzing the data was a complex procedure requiring special expertise. It should also be considered that utilizing third party consultants was indeed supportive of objectivity and unbiased data analysis. I am nonetheless moved to seriously question how a project could be designed and implemented – for a decade or longer – in which such complexities failed to be adequately taken into account through both the methodology and budget. I have a great deal of trouble accepting such a chain of circumstances. It is as if incompetence, poor project management and financial instability were repeatedly presented as reasonable explanations as to why an interested public should overlook the collective lack of accountability and absence of measurable results. It is highly irregular within the nonprofit industry for a project, whether or not it received full funding, to have no final report. Such reports typically include details of funding entities, amounts of grants, dates funds were received, exactly who was involved (as well as their specific roles), what was learned, and similar such specifications that can be easily and clearly followed on a time line. As a matter of fact, such reports are typically composed and published annually. Some of White's emails to UpDates suggested similar reported circumstances were not entirely uncommon, apparently based on her interactions with project volunteers. I, too, directly interacted on several occasions with an individual who stated they were an AMP volunteer and that they both experienced and reported dramatic circumstances while participating in the project. I present for consideration that if the anomalous events reported were not detectable in any measurable manners, such circumstances nonetheless remain extremely relevant to the UFO community, even if perhaps undesirable to some. If any number of similar and additional possibilities may have been implied in the data, it remains matters of integrity and proper protocol to report the circumstances and, in doing so, support future endeavors that might build and expand upon what was learned. Should we be inclined to fully accept – for whatever reasons – the AMP was scrapped after all phases but data analysis were completed, we are still entitled to question the lack of a final project report. Such circumstances are simply not acceptable within the nonprofit industry and the overlapping professional research community. If ufology leaders sincerely desired to be accepted and taken seriously on such levels, it is reasonable to question why they would conduct their affairs in such manners as were the case with the AMP. We are also entitled to question the treatment of the project volunteers, whom I have no reason to believe were ever provided adequate information about the results of their participation. It was repeatedly reported that CUFOS, MUFON and FUFOR collaborated to conduct the AMP. According to the FUFOR website, FUFOR was founded in 1979. Familiar names, such as Tom Deuley, Bruce Maccabee, Don Berliner and Richard Hall, were involved. 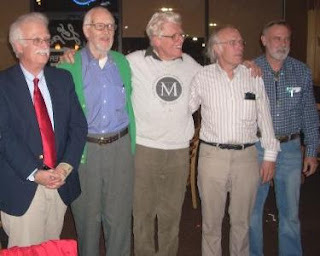 Deuley reported in his 2008 MUFON Journal article that the AMP collaboration resulted in the forming of the UFO Research Coalition. 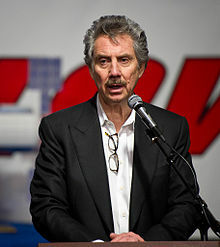 Further review of the FUFOR website indicated the Coalition, or URC, was attributed to the controversial Robert Bigelow. Many readers of The UFO Trail will recall Bigelow's role in the Carpenter Affair, a series of questionable events occurring during the 1990's. John Carpenter, a social worker and the MUFON director of abduction research at the time, sold copies of case files to Bigelow without the knowledge or consent of the research subjects, some of which were paying clients of Carpenter. The MUFON BoD had their hands full dodging fallout from those circumstances well into the turn of the century (and subsequently the AMP). Many unanswered questions remained. Additional circumstances of potential interest might include the failed collaboration between MUFON and BAASS (Bigelow Aerospace Advanced Space Studies). That train wreck consisted of forming a rapid response team for reports of UFO landings, but led to an eventual mass exodus of MUFON personnel. The entire venture ultimately went south amid arguments concerning the specific terms of the major funding reportedly committed from Bigelow. In early 2011 James Carrion questioned the source of those funds, stating a financial sponsor provided the money to Bigelow, who revealed the identity of the source to John Schuessler but not to other MUFON board members. Suffice it to say that is not standard nonprofit industry procedure. Back to the AMP and the collaboration of the three orgs, I have never understood or received an adequate explanation as to why it was necessary to incorporate the fourth organization, the UFO Research Coalition. Nonprofit corporations frequently collaborate on projects of all kinds. They raise funds, conduct research, provide services to community members and do all types of things without incorporating an additional organization. Actually, it would be quite counterproductive and a waste of valuable resources - if not ludicrous - to incorporate an additional organization when existing corporations embark upon a joint project, at least at face value. It should additionally be noted that Deuley's 2008 Journal descriptions of the collaborating organizations and related funding efforts were less than overtly clear, intentionally or otherwise. Deuley, as well as various org leaders before and after, opted to describe the passing of the AMP proposal from one reviewing organization to another, strongly implying certain formal and traditional protocols were being followed. The fact of the matter, however, is that the same core group of individuals sat and continued to sit on the boards of directors (and served as key personnel) of multiple involved organizations for decades. The members of the boards of directors of each organization were reported on the 990 forms reviewed. Tom Deuley, for example, was a member of the BoD for MUFON and the UFO Research Coalition for apparently the duration of the AMP. 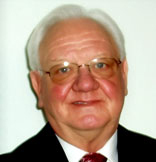 He is also listed on the FUFOR website as a founder and member of the BoD, although the FUFOR 990 forms reviewed did not report Deuley was a director from 1999 to 2006, whatever that may or may not indicate. Similarly, Robert Swiatek and Don Berliner served for many years as members of the boards of directors for both FUFOR and URC, including Swiatek taking responsibilities for the books of both organizations for a while. 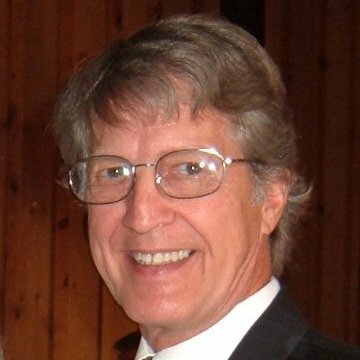 MUFON co-founder John Schuessler sat many years on the boards of both MUFON and the URC, while also sitting on the Scientific Advisory Board for Bigelow's now dissolved National Institute for Discovery Science. Such circumstances were apparently not uncommon. In all and of the several 990 forms previously cited that were reviewed, some 7 of the organizational leaders were members on more than one board of directors and held key roles within multiple organizations for many years. One might indeed find it difficult to accept without question how men in such positions could so frequently contradict one another about basic and fundamental aspects of their organizations' operations. Deuley, for instance, was a member of the BoD for MUFON and URC, and had strong ties, if not acted as a director, for FUFOR for the duration of the Ambient Monitoring Project, of which he held a lead role. Given those circumstances, how could he possibly not have correctly known and reported what was taking place within the project? It is not particularly unusual that directors of existing organizations would sit on the boards of additional similar organizations and under the conditions as described. However, I felt the circumstances worthy of mention considering all the organizations went long periods of time with minimal changes in the members of their boards of directors, and it is unclear exactly why the UFO Research Coalition was ever incorporated in the first place, particularly given the fact it took board members from already existing orgs. Also, Deuley's 2008 Journal description of the circumstances focused on the names of the organizations, rather than those who operated them, which were actually the same people to more and less extents. A more accurate and easy to understand accounting of the situation might have included Deuley explaining which people were integral parts of the project, specifically what they did and specifically how they did it. And here's what I'm getting at with the Bigelow bit: I'm not entirely clear on how a guy can keep bringing spoiled potato salad to the pot luck yet keep getting invited back. Bigelow was involved in derailing MUFON's research of alien abduction via the Carpenter Affair; he aligned with FUFOR before what were reported as differences in control of URC caused a complete break; and MUFON then gave him a stamp of approval as big man on campus for what turned into the STAR Team fiasco - all of which was enabled by many of the same men who sat front and center for the entire chain of events. They simultaneously sat on multiple boards and were founding members of the organizations involved, yet continued to dance with Bigelow as if they were unaware that doing so tended to become problematic. Not entirely clear on all that. Organizations granted 501(c)3 public charity status must adhere to certain guidelines in order to maintain that status. Reasonable transparency of financial matters and adequate reporting of resulting activities are considered industry standards. It is not completely out of the ordinary for private individuals to make substantial cash donations for designated use and under the agreement their identities remain confidential. Purposes of making such contributions include advantageous tax deductions, and maybe the donor desires to support the work performed by the nonprofit. An individual's motives to remain publicly anonymous might include any number of understandable and entirely acceptable reasons, such as discouraging unwelcome solicitations for donations and avoiding unwanted attention. However, professionally operated nonprofits simply clarify funding was received by a private donor when such is the case and particularly when it is relevant to accurately reporting a chain of events. Public accountability for related projects and activities is then conducted in the same manners as if funds were received through a granting agency, foundation or similar source. Please consider an aspect of the historical relationship between the intelligence community and nonprofit organizations. There is a long and well documented history of IC manipulation of the funding process and the resulting covert distribution of funds for classified purposes. I have a couple of points here, please. Thanks for sticking with me. They should fully expect to practice transparency to absolutely exemplary extents. Wouldn't one think they should understand the public concerns? They would seemingly accept full responsibility, given the range of circumstances and the natures of the UFO and intelligence communities, for even overcompensating and offering transparency and public accountability above and beyond industry standards. Such would be the case, it would seem, if they had any interests in fostering trust, establishing credibility and cultivating an environment conducive to best practices. If they do not look at the circumstances in those manners, and they do not understand such situations to be the case, and they instead practice a lack of public accountability, then might we not reasonably ask what's the matter with them? Are they stupid? Do they enjoy instigating conspiracy theories about themselves and their organizations? The second point is that I don't claim to know what happened to the AMP. That's it. That's the point: We, the public, don't know what happened to the AMP. I am not accusing anyone of excessive wrongdoing or suggesting a conspiracy of some kind, as conclusions are not available. I simply do not know for sure why things happened the way they did. Three public charities collaborated on a project that involved the incorporation of a fourth public charity for reasons that remain unclear, and we were never provided a final project report. That's my point. If you take anything away from this winding AMP saga, please understand that I composed this post in order to make the above point and address its accompanying issues: You are entitled to expect accountability without being painted as nosy or an unreasonable conspiracy theorist for doing so. When organizations enjoy tax exemption, collect membership dues, solicit donations and receive substantial portions of annual revenue from public support, you are fully entitled to inquire of their activities. You are entitled to request certain documents and recent 990 forms, review those items and submit any questions that may result. You are entitled to do so and you are entitled to expect accurate answers. I made a conscious decision to cease supporting - financially and otherwise - UFO organizations that fail to be sufficiently accountable for their finances and activities. I encourage others to withhold support from organizations they identify as neglecting to practice reasonable transparency. To learn more about acceptable guidelines of operation as established within the US nonprofit industry, visit Consumer Reports, the BBB Wise Giving Alliance and Charity Navigator, among other helpful sites. More about nonprofit organizations and what you are entitled to know about their governance and operations is available at irs.gov. Contact Jack Brewer, writer of The UFO Trail, about this or similar stories through his blogger profile. 2005: Tom Deuley, Richard Hall, Mark Rodeghier, Ph.D., John Schuessler, Robert Swiatek and Michael Swords, Ph.D.